Time management is basically about being focused. The Pareto Principle also known as the '80:20 Rule' states that 80% of efforts that are not time managed or unfocused generates only 20% of the desired output. However, 80% of the desired output can be generated using only 20% of a well time managed effort. Although the ratio '80:20' is only arbitrary, it is used to put emphasis on how much is lost or how much can be gained with time management. These are the core basics of time management that should be understood to develop an efficient personal time management skill. These basic skills can be fine tuned further to include the finer points of each skill that can give you that extra reserve to make the results you desire. These are the few steps you initially take in becoming a well-rounded individual. As they say personal time management is the art and science of building a better life. 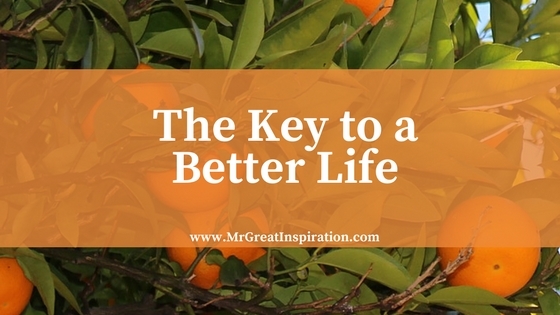 We hope guys you find our article "The Key to a Better Life" by Mr Great Inspiration useful.